The book is a complete world of mystery and crime-solving itself. Lucy, the protagonist, wanted to remember something. Desperately remember. But her parents died to ensure she didn’t remember. 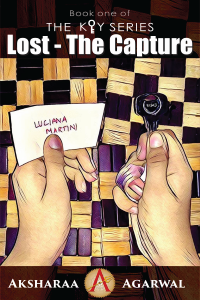 Read on to find what did Lucy forget? 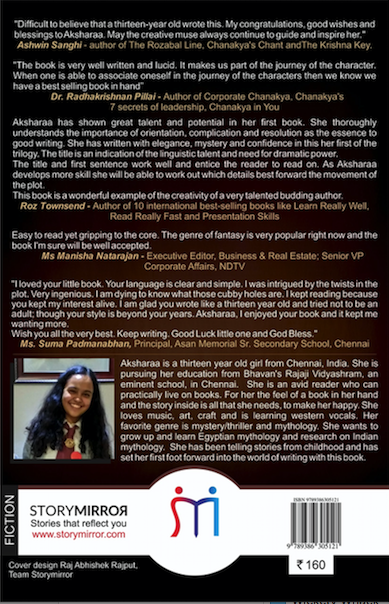 About the Author: Aksharaa is a thirteen year old girl from Chennai, India. She is pursuing her education from Bhavan's Rajaji Vidyashram, an eminent school in Chennai. She is an avid reader who can practically live on books. For her the feel of a book in her hand and the story inside is all that she needs, to make her happy. She loves music, art, craft and is learning western vocals. Her favourite genre is mystery/thriller and mythology. She wants to grow up and learn Egyptian mythology and research on Indian mythology. She has been telling stories from childhood and has set her first foot forward into the world of writing with this book.